Andrew Guinan, and our chosen charity, The Tayside Mountain Rescue Association. 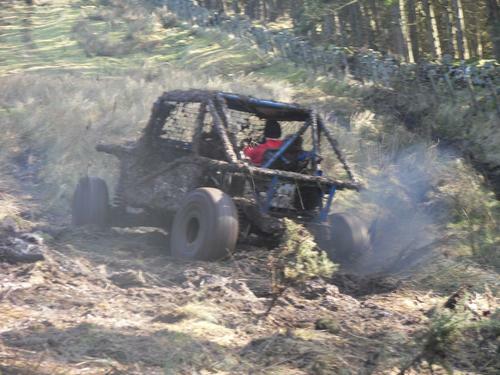 This page is dedicated to my younger son, Andrew, who we lost following an accident at a 4x4 off-road club event he was competing in, near Coupar Angus, on Sunday 27 February 2011. He was 23 years old and had given us a lot of support for our projects here, including so much of his help running the Markets and constructing the Railway, while at the same time, working at his home at Linwater. Andrew was a wonderful optimistic lad, and always ready to make new friends. 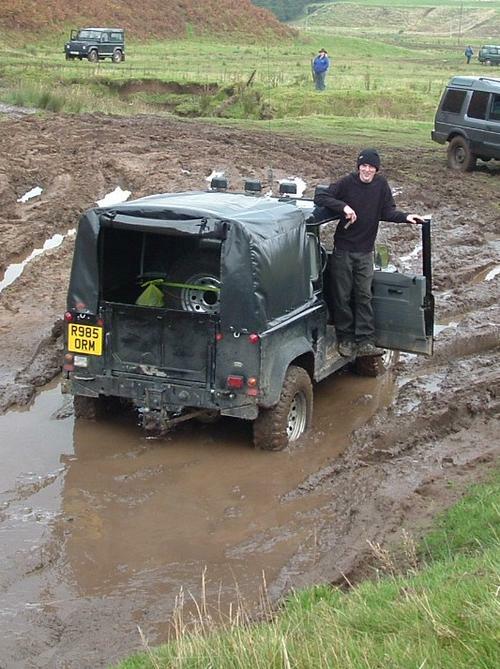 He loved his off-roading, and will always be remembered for his cheery smile and his willingness to help anyone. We have chosen Tayside Mountain Rescue Association as a Charity to donate to in Andrew's memory. They now have a new Landrover based at Aberfeldy, and we have agreed to help fund the running, and the additional equipment needed for it. We feel this is an appropiate and excellent local organisation to support, if you wish further information, please contact Peter. Many thanks. Generous individual donations have come from family and friends, along with money collected at the Markets. Kind donations have also come from The Atholl and Breadalbane Ploughing Society, the Firm of Contraflow Ltd, and the Pitlochry Gallery Association. Thank you so much, this means a lot to me in that we are all supporting an organisation that did turn out to help, and one I know Andrew would have wished to thank, and would of fully approved of their choice of new vehicle! Tayside Mountain Rescue Asssociation attended the May 2012 Market with their brand new vehicle, and also demonstrated the talents of one of the very clever search and rescue dogs. Thankyou everyone for all the extra money donated on the day. Tayside Mountain Rescue have now received over £5500, all donated in memory of Andrew, we as a family are extremely touched by this generosity. Thank you again. In 2012, Andrew's brother Alastair, and Pete, took part in the annual local NFU Tractor Run, who in memory of Andrew, kindly chose the TMRA, as one of their two charities to benefit from the monies raised by the event. They got their old Fergie round the 40 odd miles without missing a beat, not bad for a 53 year old - that's the tractor, not Pete who's a few years further on! At least he doesn't need Easystart to get going (not yet anyway). There were presentations to the Tayside Mountain Rescue Association at Aberfeldy Show in August, not just from the Tractor Run, but also a generous cheque from The Dunkeld and District Strathspey and Reel Society who have also kindly supported us. Once again, many many thanks. We always have a collection tin at the Market, for the Tayside Mountain Rescue Association. In recognition of friends helping us run the car parking at the Markets, we were happy to hand over another donation, when TMRA opened their new Blairgowrie Base in September 2013. Thank you to Pitlochry in Bloom, and also to Pitlochry Station Bookshop, for recent donations. 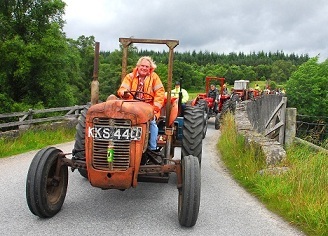 At the 2014 Tractor Run, Alastair Robb generously out bid everyone to win the bottle of whisky auctioned off in aid of TMRA. Cheers! Our fund raising continued into 2015, having held a Fishing Competition at the Farm. We also sold at each Market some items graciously donated by the owner of the former Allium Garden Centre at Ballinluig. 2015/2016 also saw the Pitlochry Station Bookshop adding the Tayside Mountain Rescue Team as one of their charities that money is raised for, which is a wonderful and very generous gesture. 2017 and 2018 again saw donations kindly raised by the musicians playing at the Market. (Thanks to gav92w who posted this poem on Devon 4X4 forum).